This week finds me working on a couple of projects. First up is my July UFO, Equinox. I have everything cut and marked and will get sewing this week. This is a Cozy Quilt Shop pattern and is made up of 2.5" strips. It should go together pretty fast. 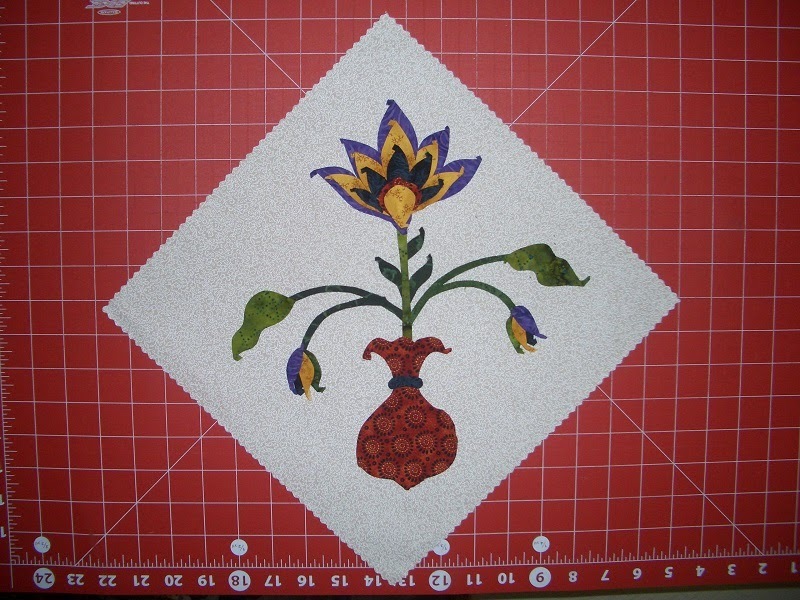 I also have prepped and glued down all the pieces for this Flower Pot applique. This is a pattern by Susan Prioleau that I purchased awhile back. 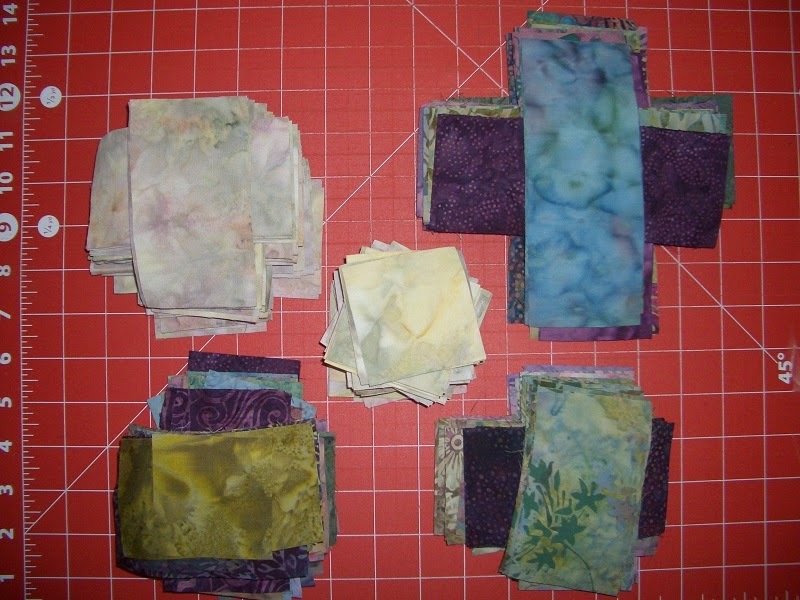 I was thinking that I might make it the center of a Round Robin quilt. I have much to keep my busy this week! What are you working on this week? I really like your Flower Pot Applique. Never done applique, looks very time consuming? Looking forward to seeing the finish results of Equinox, love those batiks. I just noticed your red cutting board! I see you are getting use of it.